on saturday, ben and i got out of town and went to see gwen. my first time to ohio. we had a lovely time. we ate, we thrifted, we chatted. 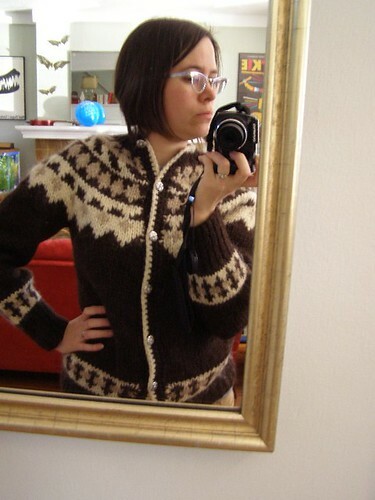 besides finding some very nice pyrex and a brooch, i, of course, bought sweaters to recycle. these plus two white ones. the pink will probably be overdyed… and i’m always searching for good greens and yesterday was the day! one is heathery avocado and one is light kelly green. if you want to know more, click over to flickr and read the notes on the picture, neither of the green sweaters are actually the right color at all as pictured. in case you, at first glance, were hoping i might have knit that sweater myself, i’m sorry to disappoint you. 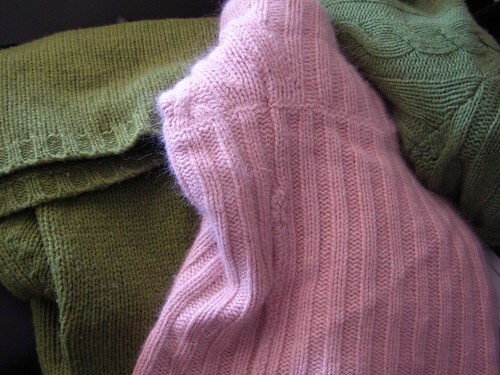 however, there does appear to be some sweater knitting in my very near future… stay tuned! This entry was posted in knitting, thrifty by cosymakes. Bookmark the permalink. That sweater is fantastic! Great finds! 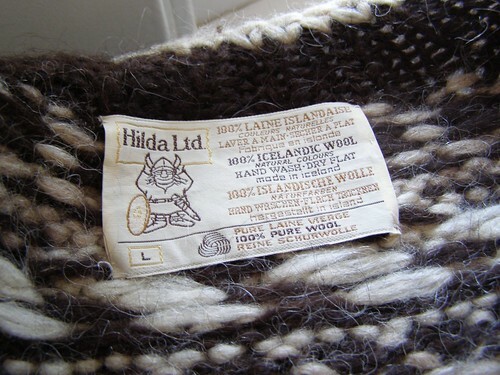 Great sweater (here we call them ‘jerseys’, but I’ll use the local lingo while I’m visiting) :) and so cool that it’s icelandic – I rather love things icelandic – I even gave my youngest son an icelandic name (Magnus). Looks like Ohio thrift stores have it happening! That sweater is great. cosy, you’re the bomb, and the sweater confirms it. I want to rub my face in the fuzzy pink one. That sweater is the coolest. What a great find! Ohh, great thrifting finds :) That icelandic sweater is great & the pink looks so soft!